The passing of John McCarthy, on 24 October 2011, received considerable attention in the media and there is an account of his legacy here. A celebration of his accomplishments was held at Stanford on 25 March 2012, as arranged by a committee consisting of Raj Reddy, Nils Nilsson, Ed Feigenbaum and Les Earnest. Video editing and the creation of this web page were done by Bruce Baumgart. Talks are listed below together with links to video recordings on YouTube as well as texts where available. The final speaker is John himself from the 2009 SAIL reunion video. I suppose others will talk mostly about John McCarthy's career and achievements. I'll talk about his life, his character, and his sense of humor. Which may be self-serving, since I am among other things a humor writer. Recently I was telling John about a humor piece I was thinking of doing about a set of phrases that ad writers think make good copy. Phrases like "Weird tip" and "old trick." "Secret easy tip." The ones that get to me are "Invented by a schoolteacher" "Discovered by a mom." I see a lot of these on Facebook. I think there's an element of conspiracy theory - the authority they claim doesn't come from medicine or science, but from some hidden layman's underground. John cackled and cited older ad copy on the same theme: "What your dentist doesn't want you to know..."
The very next day Facebook said to me: "Clever Mom Reveals Free Trick to a Wrinkle Free Face - Dermatologists Hate Her." John was what's called a red-diaper baby. His parents - my grandparents, Jack and Ida - were Communists and labor-union organizers. Ida reported overseas for the Federated Press, brought the case of Sacco & Vanzetti to Anatole France's attention, and organized unions in Wisconsin. Jack organized fishermen, dry-cleaning deliverers, Boston trolley workers, and longshoremen on both coasts. He was an associate of Harry Bridges and at one time West Coast head of the CIO. He also was a business manager for the Daily Worker, a sardine fisherman, and a carpenter. Jack also disguised his identity to avoid being deported. He claimed that he was born in San Francisco, and that his birth certificate had been destroyed in the ought six earthquake. So he didn't talk about his boyhood in Ireland. I think this left John with a lifelong uneasiness about talking about personal history. Once Jack McCarthy went to Chicago on Party business. When he came back he brought a Belgian Shepherd puppy the family called Sophie. John loved and admired his parents. He made them proud by excelling in Los Angeles-area communist youth groups. But he considered it significant that he was drawn to mathematics. He sometimes mentioned other children of American Communist Party leaders who went into math. John loved to sing. He must have known many dozens of union songs, but he never sang Joe Hill, or The Union Maid. Instead he sang a funny song about the very fat man that waters the workers' beer. I'm sure you all know this song. We can sing it later. The very fat man adulterates the workers' beer with strychnine, methylated spirits, and kerosene, and then dilutes it with his watering-can. He does this for profit, and because "a strong and healthy working class/Is the thing that I most fear." That amused John, as well as the final verse in which the very fat man appeals to ladies to pity him. "For the water rates are frightfully high, And the meths is terribly dear, And there ain't the profit there used to be, In watering the workers' beer." When John moved away - far away - from Communism, he didn't get religion. He wasn't against religion at all. In fact he and Jerry Pournelle formed a group called Atheists for School Prayer. A joke John sometimes told was about two priests talking. One asks the other, "Do you think the church will ever drop this insistence on celibacy for priests?" The other replies, "Not in our time, father, and not in our children's time, but perhaps in our children's children's time." John could be naive. When John and Marvin Minsky were graduate students, they frequently traveled together, and when Marvin and Gloria Rudisch began going out, John often came along. One day Gloria took the two of them to meet her parents and her grandmother, out on Rockaway Beach. Gloria told me, "I was kind of worried about Marvin's shyness re answering all the boyfriend questions my parents were likely to ask." "Without telling a lie about the situation, soon after greetings were exchanged, I said 'Why don't you talk to John while Marvin and I take a short walk on the beach.'" John was perhaps a little surprised that Gloria's parents were so interested, but he gave a good account of himself. When Gloria and Marvin came back, she says, "It was obvious that John had made a real hit with my folks. However I summoned up my courage and introduced Marvin as my fiance." Gloria's family adapted to this just fine and soon were mad about Marvin. But having invested so much energy in understanding John, they kept a lifelong interest in his doings. My favorite part is that John had no idea what was going on and why Gloria's family were asking him all these searching questions. John was a great father. When my parents had a genuinely amicable divorce, it was the 1960s, a time when divorced fathers often saw very little of their children. When my parents requested joint custody it was the first time their family lawyer had ever encountered that request. I think my parents also got joint custody of the joke about the man who's going to Connemara, God willing. John saw no reason why Sarah and I shouldn't become mathematicians. He raised us to think logically and scientifically. That was how he thought. Once, when his health was failing, I took his temperature and then carried the thermometer into another room to read it in better light. I showed it to my husband. John was angry. He said, "Any time there's a number, I want to know about it immediately." If I were doing slides, there'd be one with the word Gloom on it now. All caps. When we were staying in Edinburgh, with Sid and Kitty Michaelson and their family, Kitty marveled at how American John's language was. She imitated him saying "Boy oh boy Kitty this sure is good." Which surprised me, until I listened and noticed that John really did say "Boy oh boy." John had great ideas, and not just in the fields where he worked. Prior to the bicentennial, he had an excellent scheme in which the U.S. would have a birthday party and invite everyone in the world. He had worked out quite a lot of the logistics - how many planes it would take to bring everybody, where they would stay. However, John tended to delegate his social life to his wives. Unfortunately for the world, John was between marriages at the time of the bicentennial. No wife, no party. Had there been such a party, John might have sung the song about Alexandria, which recaps the plot of the opera Thais. It rhymes "heavily" with "devil, he" - "hat of me" with "that girl's anatomy" - "stupor sent" with "booze of more than two per cent" and "what a joke on me" with "for that there dame to croak on me." John improved it by writing a final verse which rhymes "the consequence" with "untaken-up concupiscence. " My daughter Kitty points out that John was generous, a good present giver. I think she's jealous that John got season passes to Great America, so Timothy could go every week. He was an open-minded man. When one of his favorite science-fiction writers, Lois McMaster Bujold, praised the romance writer Georgette Heyer, John started reading Heyer, and analyzing her writerly techniques. Relatively few computer science professors are seen publicly reading Regency romances. His favorite of her books of course was the one with the steam-engines and the aeronauts. I know my father scared some people. He'd raise his eyebrows at them. He'd make them define their terms. He severely frightened several young men who visited our house by asking them how much steel they thought Japan produced in a year. But not only was he a convivial, generous, and funny man, he was a radical optimist, a category he invented. A radical optimist is a person who believes that things will turn out okay - even if people don't take his advice. Once at the Michaelson's dinner table, John and Sid were happily arguing some political point. At this time the Michaelsons had a very shy cat named Philippa. You'd reach a friendly hand to Philippa and she'd run away in terror. While John was talking, Philippa walked past the chairs. People said her name and put out their hands. She dodged. She walked past John's chair. He paid no attention. She circled his chair. He paid no attention. She jumped into his lap. Everyone was surprised but no one said anything. John politely began patting Philippa. While Sid made a point, John absent-mindedly encircled Philippa's legs while he listened. Then Sid paused. John began to refute Sid, and since his hands were full of cat, he gestured with the cat. Philippa looked surprised. Everyone at the table burst out laughing. John had no idea why. One of my first meetings with John was when he visited SRI in the 1960's to see a large neural network that we had built to learn to recognize alpha-numeric characters. John was skeptical of neural networks, saying something like "a machine can't learn something that you aren't able to tell it." John believed that the knowledge a computer needed to act intelligently should be stored as declarative sentences in some appropriate, computer-understandable language. This commitment to "declarativism" was to be the central focus of John's work in artificial intelligence. Although John's contributions to artificial intelligence were monumental -- he coined the term -- his work and vision extended well beyond AI. I'll mention some of these as I summarize some of the events in John's life. Other speakers today will elaborate. John was born in Boston in 1927 to immigrant, working-class parents. The family moved to Los Angeles in the 1930s, where John graduated from high school two years early and went on to receive a B.S. in mathematics at Caltech in 1948. Finishing a PhD degree in mathematics at Princeton, and a short stint as an instructor there, he spent a couple of years in the Mathematics Department at Stanford before becoming an Assistant Professor of Mathematics at Dartmouth College. It was at Dartmouth that John and colleagues organized a 1956 summer workshop on "artificial intelligence," a name he proposed for this nascent field. As John said at the time, ". . . the artificial intelligence problem is taken to be that of making a machine behave in ways that would be called intelligent if a human were so behaving." John moved to MIT in 1958, becoming an Assistant Professor of Communication Science. His MIT years were very productive: he invented the programming language, LISP; he and his students developed an early chess-playing program incorporating the famous "alpha-beta" procedure for eliminating useless search; he provided the first suggestions for implementing "timesharing;" and he described the first proof of the correctness of a compiler. Regarding AI, his 1958 paper "Programs with Commonsense" laid out the earliest ideas for representing and reasoning with declarative knowledge. John firmly believed (and continued to believe for the rest of his life) that the knowledge needed by AI programs should be represented declaratively rather than being encoded within the programs that use that knowledge. As he put it, "Sentences can be true in much wider contexts than specific programs can be useful." Growing out of this approach, he and Pat Hayes invented a formalism for reasoning about actions that they called the "situation calculus," in which a situation was a state of the world and an action was regarded as a function that changed situations. Pursuing these themes was to occupy the research lives of McCarthy and of many others. In 1962 John moved back west to join the Computer Sciences Division of the Mathematics Department at Stanford as a full professor. Pursuing his AI and other computer-science related interests there, he formed the Stanford Artificial Intelligence Laboratory or SAIL. Les Earnest soon joined John in running SAIL. During the 1960s and 1970s SAIL was a shining example of what a community of very bright faculty, students, and staff could accomplish when provided with adequate funding, powerful computers, peripheral equipment (such as display devices and printers) and associated software. Much of the equipment and software needed by the projects at SAIL was developed at SAIL. John's philosophy in "managing" SAIL was to let a thousand flowers bloom. He often gave good advice to people about how to tackle a problem, but if they did it in a different way and made it work, they got no hassles from him. The foundations for graphical user interfaces and printers, computer typesetting and publishing, speech recognition, computer vision and robotics, computer music, and other technologies that are now parts of our everyday lives all got their start at SAIL's facilities in the Stanford foothills. SAIL was also one of the first nodes on the ARPAnet, a precursor to the modern Internet. Over time SAIL produced many PhDs and other graduates. Sixteen ACM Turing Awards were given to people who had been affiliated with SAIL. John was always modest about his assessment of progress in AI, thinking that many discoveries and inventions would need to be made before we would have AI programs that reached general human levels of competence in thinking and reasoning. He believed that we would have to know much more about how human intelligence works before being able to duplicate it in machines, writing that "[we] understand human mental processes only slightly better than a fish understands swimming." John had an all-consuming commitment to and passion for personal freedom. He was all for expanding it and for fighting limits on it. He thought that scientific advances and technology would free people from the constraints of resource limitation and population pressures. He saw the environmental movement as imposing unacceptable and needless limits on freedom. His attitude was best expressed in one of his sayings: "It is deplorable that many people think that the best way to improve the world is to forbid something." He hated bureaucracy, thinking that at least 98% of any bureaucracy could be eliminated with a consequent 98% reduction in its follies. John's own enterprises reflected his view of a streamlined (or absent) administration. When he and Ralph Gorin set up the first time-shared computer system for all Stanford students to use in the mid-1980's, it was called LOTS, for Low Overhead Time-Sharing System. It was run by a part-time student or two. John's Web pages are a gold mine of ideas -- technical, philosophical, and political. One way to remember John is to have a look at them. Just Google John McCarthy. John died on October 24, 2011 from complications of heart disease at his home in Stanford, California. He is survived by his third wife, Carolyn Talcott of Stanford; two daughters, Susan McCarthy of San Francisco and Sarah McCarthy of Nevada City, California. ; a son, Timothy Talcott McCarthy of Stanford; a brother, Patrick, of Los Angeles; two grandchildren, Kitty McCarthy of San Francisco and Joseph Gunther of New York City; and his first wife, Martha Coyote. His second wife, Vera Watson, died in 1978 in a mountain-climbing accident attempting to scale Annapurna in Nepal. 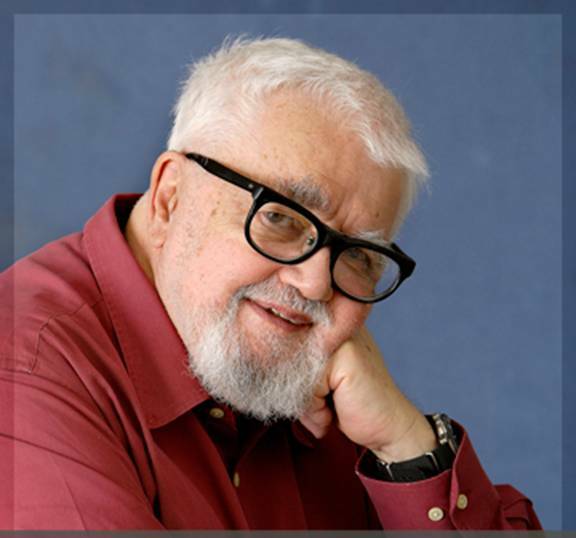 John McCarthy's genius, puckish humor, and presence, along with his provocations to think more deeply, will be greatly missed by his colleagues, family, and many friends. In the fall term of 1950, I arrived as a new graduate student in the mathematics department at Princeton University, and shortly fell into the company of senior researchers like John Tukey, Solomon Lefshetz, and John von Neumann -- and graduate students like John Nash, Martin Shubik, Lloyd Shapley, and John McCarthy--who all became lifelong comrades in life and research. Both McCarthy and I were interested in classical math subjects like logic and topology; John's doctoral thesis was about rotated vector fields, and mine was about the logic of machines. But both of us were mainly concerned with machines with making machines that could reason and learn. We both joined Claude Shannon at Bell Labs in the summer of 1952 and in a very preliminary way began to plan a future symposium on Artificial Intelligence. Later that year McCarthy moved to become a professor of mathematics at Dartmouth, but we continued to discuss the future of computers, and that first formal conference on Artificial Intelligence was finally realized at Dartmouth in 1956, organized mainly by McCarthy. Throughout all this, John and I had both agreed that to make smarter machines would eventually need massive collections of common sense knowledge. However we had different ideas about representing that knowledge: John preferred to develop formal, logically consistent representations (which led him to develop the LISP programming language), whereas I was more concerned with pragmatic learning from experience. But despite the fact that we had such different approaches, in 1958 Jerome Wiesner, the director of MIT's Research Laboratory of Electronics, helped the two of us to start what eventually became MIT's Artificial Intelligence Laboratory. Now, you might expect that if two Co-Directors of the same project had such different goals, this would lead to serious conflicts--yet I cannot recall this ever happening--perhaps because we both understood that both approaches were needed! Accordingly, whenever the two of us disagreed, we rarely attempted to compromise; instead, one of us would simply walk away--leaving the other one to decide. Only in much later years did I recognize how many brilliant technical and managerial decisions McCarthy had made in those early times--and I cannot remember a single case of such a decision going badly wrong! During those early years, our families grew up together, with many outings, adventures and potluck dinners. John accepted a tenured faculty position at Stanford in 1962, and though we were no longer in such close touch (and continued pursuing those different approaches) we remained good friends and colleagues over the years. And over those decades and thousands of miles, our children Margaret, Julie, and Henry have remained friends with Susan and Sarah McCarthy. Those who know only John's technical writing might be surprised to learn that he was usually sparkly and cheerful, full of interesting stories and facts and puzzles. While his formal scientific papers tend to be clear and concise, his web site shows some very respectable social essays and science fiction stories. I am so sorry not to be here to honor John--to say these words in person. I really miss John McCarthy--one of my very closest friends and colleagues. In 1957, I was a pilot in the Air Force working at MIT's Lincoln Laboratory. I had come up the idea called "Trie Memory" and had written a program on the IBM 709 to test it. Being a beginner in computer science I had no idea as to whether or not it was a new idea. Friends at Lincoln suggested that I discuss the idea with John McCarthy, who was known to be working with List Structures. I went to John's MIT office in Building 26, and I was told that I might find John down the hall.Down the hall, I saw someone walking slowly, apparently thinking about something. I walked up to him and asked: "Are you John McCarthy?" I introduced myself and told him that I had programmed and tested an idea for a data structure for information storage and retrieval and that I was trying to find out if it was an original concept. John took my paper and started to read it. While reading it he turned around and started walking away from me. I didn't know what that meant so I just stood there. After 15 or 20 steps John slowly turned around and started walking back towards me. When he was close, he stopped walking and continued reading. It was obvious to me that he was annoyed by what he was reading. Meanwhile I just stood there, perplexed. Finally John got to the end and he thrust the paper back into my hands and said. "Yes, I've had the same idea, but I didn't think to write it up." "I see. So, aside from you, do you think it's a new idea?" "As far as I know, yes it is." John quickly got over being annoyed and assured me that what I had done was good work. That was typical John. After getting to know him I discovered that he was teaching a course about computation. I decided to sit in on some of his lectures at MIT. As a result I was fortunate enough to attend a fascinating lecture. John was discussing an open question about theoretically proving facts about a program. While giving his lecture, John had an idea as to how one might prove, what was known to be a difficult open question. He deviated from his planned lecture and in the course of 30 minutes, with a couple of long pauses while staring at the blackboard, John managed to essentially complete the proof. I was thrilled to have witnessed all this. However, as we filed out of the classroom, I overheard a student angrily telling a classmate: "He has a lot of nerve, coming to class unprepared!" After I went to work at BBN, I convinced Licklider that we should hire both Marv Minsky and John McCarthy as consultants. While working with John at BBN I told him about my idea that perhaps the Universe is a program in some kind of computer. John's reply was "Yes, I've had that same idea." I asked, "Do you think there might be some way to test that theory?" "Yes," said John, "we could do experiments to see if we can detect roundoff or truncation errors." That tipped me off that John's concept and mine were somewhat different. Looking for advice I asked, "Do you think that I should keep working on these ideas?" John thought for a while - then he said "Yes! The world is large enough to afford one person working on such ideas!" John developed a set of concepts that allowed a large multi-million dollar main-frame computer to be shared by a number of different users who could all simultaneously interact with the computer via some kinds of primitive terminals. He called it "Time Sharing". John explained his ideas to me it was obvious that they made sense; somehow we had to implement his concept. It was fascinating and frustrating for me to discover that very few people went along with John's ideas while others vigorously opposed them. Being a hardware designer, I thought of ways to quickly and cheaply design and build the hardware necessary to demonstrate the validity of John's concepts. My favorite was John's rule that the computer should always respond to simple user actions in less than a tenth of a second! Back then, the turn-around time with batch processing was often 24 hours! In 1962 Marv Minsky, John and I went to a meeting about time sharing held in Santa Monica and afterwards John told us that he was planning to quit MIT and hoped to get a position at Caltech. MIT hadn't promoted John, leaving him as an Assistant Professor. Marvin and I decided to go with John to Caltech, providing transportation and moral support. We waited around until John finished the interview. Caltech wasted no time in telling John that they weren't interested. So John told us that he was going to try Stanford next while Marv and I returned to Massachusetts. Thank God for Stanford! Stanford did the right thing ! John and I both had lots of contacts in the USSR and we both discovered that we could sometimes influence events in Russia. We also shared an optimistic viewpoint that the Communist governments might someday be able to transition into democracies. Those feeling got a big boost in 1968, when Czechoslovakia began the so-called Prague Spring - Socialism with a human face. John asked me we could meet and talk privately. Getting directly to the point John said: "I'm considering moving to Russia" As John explained his thoughts I argued with him using every fact and every bit of logic I could muster. An argument with John was polite yet difficult; he was such a powerful and logical thinker. Finally I got him to agree to something less radical. Instead of doing anything permanent, he agreed to simply arrange for an extended visit to Akademgorodok, the Soviet Science city near Novosibirsk. But as Russia prepared to invade Czechoslovakia, John sent an urgent telegram to Moscow threatening to cut off his planned stay in the USSR if they used force to terminate the Prague Spring. If I had been running the Soviet Union, given the choice of either John McCarthy or Czechoslovakia, I would have gone with John. The next year when I decided to teach an MIT course in Problem Solving, John offered to think up problems for my students. A good example is "The Doctor's Dilemma", which can be found on John's web site. In 1985, I told John about some unusual discussions I had, about the Sakharov situation, during a visit to the USSR. John somehow managed to connect with Vice President Bush in the Reagan administration and relayed my story. The eventual result, precipitated by John's call, was the yet untold story as to how the US was finally able to influence the USSR into freeing Andrei Sakharov from exile in Gorky. In my opinion John McCarthy was a brilliant American hero. He had the greatest combination of theory and practicality of anyone. He often saw the future clearly; then played a key role in creating the future as he saw it. I treasure both the adventures we shared and some silly misadventures we accidentally precipitated. Most important to me, was our 55 years of friendship. The text below shown in italics, which badmouths the SAGE air defense system and the military-industrial-political complex, was omitted from the talk because of time constraints. As you know, in order to develop an interactive network such as the Internet you first need interactive computers. In the 1950s the only way to do that was to let people use computers one at a time. However computers of that era typically cost a million dollars each, which made that approach rather impractical. As a result of Moore's Law the cost of computers came down enough by the 1980s so that that personal computers began being used widely. Thus unless something else happened in the meantime the development of computer networking would have started by the end of the 1980s, about twenty years later than it actually happened. The earlier start was the result of an accident followed by an insight. The SAGE air defense system, which was started by the Massachusetts Institute of Technology (MIT) in the 1950s and which I helped design, had to process radar data in real time so as to track aircraft and direct manned interceptors and missiles toward incoming bombers. It turned out to be a technological marvel that included a packetized data network that spanned North America. It used large screen geographical displays with point-and-click interfaces using light guns, a scheme that was reinvented about 15 years later using the mouse. Since each of the 23 SAGE Direction Centers had to respond to requests from up to 150 operators, that was put into the same processing loop as the radar data, which accidentally created a kind of timesharing system. Everyone who got to see SAGE in action agreed that even though the response time was rather slow, typically about three seconds, this was a much better way to interact with a computer than submitting jobs for batch processing and getting results hours to days later, which was the general practice then. Meanwhile Hollywood picked up on the SAGE display environment consisting of a dimly lit facility with large screen displays. They have shown that as the right kind of place to run a war ever since. However SAGE was a special purpose system and could not even be used to interactively develop and debug new programs during normal operations. Many of us scratched our heads about how to make a more versatile system but nobody came up with an answer until John McCarthy wrote a memo on January 1st 1959  that told how to do it. His motivation was not to revolutionize the world of computing but to find a more efficient way to conduct his research in artificial intelligence. 1962. It was then taken over by Patrick Suppes for research in computer-aided instruction. It is possible that someone other than John would have eventually figured out how to do general purpose timesharing but it is not clear how long that would have taken. As it turned out SAGE never actually worked and so was a gigantic fraud on American taxpayers that cost many billions of dollars during its 25 year deployment, from 1959 to 1983. MIT had the good sense to abandon that project in the late 1950s but the military-industrial complex kept it going because it was very profitable for all of them. It gave rise to a horde of fraudulent "Command and Control Systems" that are still with us in various forms today in spite of President Eisenhower's warning about them as he left office in 1961. The cost to American taxpayers of their work greatly exceeds the total of all Ponzi schemes in the history of the World. I became the Stanford University representative on the startup committee for ARPAnet, the first general purpose computer network, which worked exclusively with timesharing systems at various academic institutions and became operational in 1971, not 1969 as commonly reported. John had initial reservations about ARPAnet inasmuch as it was promoted as a facility for sharing resources and he worried about others swooping in and gobbling up our computer. However when he got to collaborate with others via email he came to love it. A graduate student at UCLA named Vint Cerf helped put ARPAnet together then joined the Stanford faculty and, together with Bob Kahn, developed the Internet Protocols that were then widely implemented and beat out the competition so as to create the Internet that we know today. Vint's Stanford research project was funded under the same ARPA contract as the Stanford AI Lab. With the introduction of personal computers in the 1980s people began to connect directly to the Internet. Many seem to think that this fundamentally changed the network but I disagree, since the core of the network continued to be timesharing systems, which did all the heavy lifting. That continued through the development of the World Wide Web in the 1990s, by which time those timesharing systems were called "servers." Servers carried on through the development of services such as Yahoo!, Google and Amazon. More recently the term "cloud computing" has been introduced as part of a pretense that a new kind of service was being offered. However it is actually plain old timesharing under still another name. Overall, the important new idea introduced by John McCarthy in 1959 unpredictably initiated a major revolution in how people interact with computers and, through the subsequent development of networking, with each other. IBM 709," Memo to Prof. F.B. Morris, 1 Jan. 1959. It is great to be here with many old friends, to celebrate the remarkable life and contributions of our Friend and Mentor, ---- John McCarthy. I came to Stanford in 1963 as a graduate student, shortly after John came here from MIT. With a number of young Wizards and Hackers, it was an exciting time to be around in Polya Hall. Soon after my arrival, a PDP-1 was delivered. Steve Russell and others were developing a Time Sharing system during the day shift. I was an older grad student with 4 years of experience using early computers with vacuum tubes and mercury delay-line memories. At IBM, we used to charge 1000 dollars an hour for using an IBM650, which was about a 100 times slower than a PDP-1. At Stanford, I had access to the PDP-1 from 8PM to 8AM, every day! I thought I died and went to Heaven. In those days, there were not many takers for using a personal mini-computer during the graveyard shift. There was one person that would show-up late at night and go away disappointed seeing I was using the system! That was John Chowning, who went on to make major contributions to Computer Music. The move to DC Power lab in 1966 was a landmark event. In my talk at the 40^th anniversary of CSD, I talked about the SIXTIES as the Golden Age of SAIL. You can find the whole talk by googling "AI CS Stanford 1963." In those days, the range of activities at SAIL was breath taking. We had the Hand Eye Project with Jerry Feldman, Lou Paul and Marty Tenenbaum and many others, all of whom have gone on to illustrious careers since then. We had Rod Brooks, Hans Moravec, Lynn Quam and others creating the beginnings of Mobile Robotics. This area of research recently culminated in Stanford's Stanley and CMU's Boss winning the DARPA Grand Challenge and Urban Challenge competitions. SAIL was also the birthplace of Speech Recognition Research, which after forty years of intensive work, culminated in SIRI, on the iPhone family. The seeds of success of Deep Blue in beating Kasparov and Watson in beating Jeopardy champions were sewn by SAIL Research in game playing and question answering, during the sixties. In addition, we had colleagues working on expert systems, computer music, space war and even computers with paranoid behavior! John's contributions to Lisp family of functional languages, Time Sharing, Non-Monotonic Logic, and Epistemology are discussed by other speakers today. He even wrote a paper on Denotational Semantics. It was indeed the Golden Age of SAIL where anything and everything seemed possible! In the later years, John would call me occasionally. A few years ago, he called me complaining, "Raj, nobody here is paying attention to my proposal. Do you think you could get a barber in China to give me a haircut in California?" I laughed and said, "I don't know about that John, but we are working on the problem of precision robotics for space repair that might be the right technology, --- but it would be - one expensive haircut!" Whether thinking about computers with common sense or getting a remote haircut from a barber in China, John was always decades ahead of the rest of us! We have lost a revered friend and mentor and the world has lost a great mind. A thank you to John. I started as a graduate student at Stanford in the fall of 1963. At that point there wasn't yet a department of computer science but only a program. I had worked for two years as a programmer after doing my BA in mathematics at UC Berkeley. My second year I was working on the language translation project at Harvard -- in retrospect perhaps when they admitted me they thought I would work in AI. I arrived at Stanford without any financial support at least as far as I knew. I met John very soon after I arrived. My recollection is that the very first day I arrived, I met John as I was walking into Polya Hall. I asked John if he could provide me with financial support and he said yes. It doesn't seem too likely that it happened exactly this way. In truth memory is not all that reliable. However the upshot was that John did offer me an RA and provided me with support throughout my stay at Stanford (for 5 years). I was an RA for the whole time. I did no teaching during those five years; there was no requirement to teach while you were a graduate student back then. So this is the first thing I want to thank John for: for the financial support that enabled me to get my PhD. I found John to be pretty hands off as an advisor. I don't recall any sort of regular group meetings. I also don't recall any regular individual weekly or monthly meetings with John. Instead, meetings happened only when I pushed for them. I didn't feel reluctant to ask to meet; I understood that it was fine to do this. But I don't recall John ever asking to meet with me to check up on how I was doing. I felt that the expectation was that I would work independently and develop my own ideas. I could discuss my ideas with John but he left me free to find my own path. This kind of independence was a bit disconcerting! But in retrospect I believe it was very valuable for my future career, because this is exactly what you have to do once you are no longer a graduate student. So this is the second thing I want to thank John for: for giving me freedom and independence, which I believe prepared me well for a future in research. As a result of John's hands-off policy, there I was working independently and trying to figure out what my thesis topic should be, with very little guidance. I knew that I could choose a topic within the general areas of AI and reasoning about programs. However these are very big areas. I don't recall being handed a list of subproblems to choose among. It might have been useful if there had been a requirement to do an MS thesis on some small problem, but there was no such requirement; instead the MS was a consolation prize given solely on the basis of coursework. So I didn't have some little problem that I could chew on as a way to prepare for choosing a PhD topic. This was a daunting amount of freedom, without any guidance that I recall, and I floundered. I really wanted to do something in machine learning, as it was understood then (programs should learn in the same way that people do) but I couldn't get any traction on this. However John didn't let me flounder forever. Eventually he did hand me a thesis topic: a program to play chess endgames. John thought I was a good person to work on this because I didn't play chess. This way I could read the chess books with a fresh eye and think about what they were saying as heuristics. This is what I did. So the third thing I want to thank John for is giving me my thesis topic. Without this I don't know how I could have completed the PhD. As I mentioned above, I understood that working with John allowed me to do research in two very large areas, AI and reasoning about programs. I chose to work in the former. However I was very interested in the latter topic, and this led to my taking lots of course that were related to it, in particular courses offered by Dana Scott on logic. I can't say that I have ever used this material directly in my later work. But the kind of mathematical thinking I encountered there has been extremely useful to me. So this is the fourth thing I want to thank John for: for encouraging me to pursue studies in an area that was not directly related to my thesis and that has turned out to be very valuable. In conclusion, this talk is a thank you to John: for financial support so I could afford to complete a PhD; for giving me freedom and independence to think about research directions, excellent training for a future researcher; for providing me with a thesis topic after letting me flounder, so that I could actually get the PhD; and for encouraging my interest in mathematics and logic, which has been so useful. And there is a fifth thing. I was the only woman in my year as a graduate student, and one of very few women over my time at Stanford. But I never felt that this was an issue for John. For that, I am also thankful. Note: Please take a look at http://www-cs-faculty.stanford.edu/~knuth/news.html in the section A Blast From the Past, where I posted a link to material that I cited during my brief presentation at the JMCfest. About the Memorial Day programming race, link to a PDF file. - DEK. Further note : In the SAILDART, John McCarthy left two files for that date 31 May 1971: timestamped 10:34 is the Memorial Day Programming Race Rules memo RACRUL.MEM[ESS,JMC] and timestamped 18:50 is KNUTH.SAI[225,JMC]. - BGB. My collaboration with John McCarthy started in 1984. He was interested then in what he called the commonsense law of inertia. That idea is related to actions, such as moving an object to a different location, or, for instance, toggling a light switch. According to this law, whatever we know about the state of affairs before executing an action can be presumed, by default, to hold after the action as well. Formalizing this default would resolve the difficulty known in AI as the frame problem. Reasoning with defaults is nonmonotonic. John proposed a solution to the frame problem based on the method of nonmonotonic reasoning that he called circumscription . And then something unpleasant happened. Two researchers from Yale University discovered that John's proposed solution was incorrect . Their counterexample involved the actions of loading a gun and shooting, and it became known as the "Yale Shooting Scenario." Twenty years later their paper received the AAAI Classic Paper Award . But that was not all. Automated reasoning is notoriously diffcult, and the presence of defaults adds yet another level of complexity. Even assuming that the problem with Yale Shooting is resolved, was there any hope, one could ask, that the commonsense law of inertia would ever become part of usable software? So John's proposal seemed unsound and non-implementable. It also seemed unnecessary, because other researchers have proposed approaches to the frame problem that did not require nonmonotonic reasoning [4, 5, 6]. There were all indications that his project just wouldn't fly. But history showed otherwise. It was destined to fly, and, in fact, to fly quite high: in outer space. I'd like to tell you about a program written years later by a group of computer scientists who continued John's research on nonmonotonic reasoning in collaboration with engineers from United Space Alliance--the company that was responsible for the day-to-day management of the Space Shuttle fleet. The program is called the RCS Advisor . The RCS, or Reaction Control System, was the system aboard the shuttle designed to maneuver it while it was in space. The RCS Advisor was used to verify the possibility of doing that even if several elements of the system malfunction. And that program incorporated a formalization of the commonsense law of inertia. How was this possible in spite of the difficulties that we talked about? First of all, what about the Yale Shooting Problem? The answer to this question is that simple ways to repair John's original formalization have been found. Some ideas came from experience with the programming language Prolog . Available solutions look so straightforward that it's not easy to explain to students today why the Yale Shooting Scenario attracted so much attention twenty-five years ago. But what about the difficulty of implementing nonmonotonic reasoning? We have today something that was not available in the 1980s: fast satisfiability solvers for propositional logic . Propositional logic is monotonic, but ideas used in the design of SAT solvers can be applied to nonmonotonic languages also [10, 11]. These languages are closely related to the language of circumscription . But why didn't the creators of the RCS Advisor use simpler, monotonic solutions to the frame problem? There was a good reason for that. The RCS was a complicated device, and the effects of actions, such as flipping a switch, had to be described in two steps. First, the simple direct effect was stated: when you flip the switch, the state of the switch changes. Then the other effects would logically follow using the rules describing the RCS that were included in the program. Such two-level descriptions of actions become possible when the nonmonotonic approach to the frame problem is adopted . This example shows that John's theory of nonmonotonic reasoning is not only interesting philosophy and beautiful mathematics; it is also computer science with serious applications. common sense knowledge," Artificial Intelligence, 26(3):89-116, 1986.
awards," AI Magazine, 26(4), 2006. Edwin Pednault, "ADL and the state-transition model of action,"
Journal of Logic and Computation, 4:467-512, 1994.
pages 359-380. Academic Press, 1991. Aspects of Declarative Languages (PADL), pages 169-183, 2001.
the stable model and well-founded semantics for normal logic programs,"
Artificial Intelligence (IJCAI), pages 1985-1991, 1995. In the late 1950s and early 1960s, there were very few people actually doing AI research--mostly the handful of founders (McCarthy, Minsky, and Selfridge in Boston, Newell and Simon in Pittsburgh) plus their students, and that included me. Everyone knew everyone else, and saw them at the few conference panels that were held. At one of those conferences, I met John. We renewed contact upon his re-arrival at Stanford, and that was to have major consequences for my professional life. I was a faculty member at UC Berkeley, teaching the first AI courses at that university, and John was doing the same at Stanford. As Stanford moved toward a Computer Science Department under the leadership of George Forsythe, John suggested to George, and then supported, the idea of hiring me into the founding faculty of the Department. Since we were both ARPA contract awardees, we quickly formed a close bond concerning ARPA sponsored AI research and graduate student teaching. And the joint intelligence of both of us was quickly deployed in a very rapid, and in retrospect, brilliant decision to hire Les Earnest to be the Executive Officer of the new Stanford AI Lab that ARPA supported. His 1990 National Medal of Science citation says, among other things, "the application of mathematical logic to computer programs that use commonsense knowledge and reasoning;"
His Franklin Institute Award says: "key developments in the application of formal logic to common sense reasoning." This is the scientific persona with which John saw himself. YET...shortly after I arrived at Stanford the first graduate student I met was Raj Reddy, John's first Stanford Ph.D. student. The Reddy work that John was sponsoring and mentoring was as far away from theoretical AI as one could get. Raj was looking at specific wave forms of speech, counting zerocrossings and other features, studying the speech recognition portion of speech understanding. I met Raj by wandering into a small lab with a PDP-1 time sharing system that John had a major role in conceiving, and designing. "The best known of his accomplishments is the creation of LISP, a programming language for symbolic processing." And more: "In the field of computer engineering, he proposed the basic concept of the Time Sharing System (TSS) and was involved in its development. This work opened the way toward the development of today's large-scale computers." There is little time here to relate John's many other Engineering facets and contributions. One example, from the mid-1960s: his collaboration with Ed Fredkin and Information International Inc. on the design of a large-scale high speed graphics system to be interfaced to a time sharing system resulted in a system that saw pioneering duty at the Stanford AI Lab. The Engineering persona of John McCarthy was as important to the IT world as the Science persona was to Computer Science. John was pleased to be known as the father of LISP and the father of time sharing. Yet I think he wished to be remembered by his Science persona, his contributions to theoretical AI rather than his contributions to systems and programming languages. He was generous and supportive of a very wide array of activities that he felt used computers in innovative ways with excellence. The AI lab had work on advanced programming languages, e.g. SAIL; Colby's models of the thought processes of psychiatrists and their patients; Chowning's and Smith's pioneering work on applications to computer music and the printing of music, leading eventually to the renowned CCRMA institute at Stanford; Harold Cohen's work on models of art-making behavior; and of course cutting-edge robotics research. For a time, the Stanford AI Lab was, or was close to being, the foremost robotics research lab in the world, with hands, eyes, coordination, and mobility. Although John was quite direct when he gave his thoughts and responses to all issues, even sometimes to the point of bluntness, he was the most honest person I have ever met. He harbored no hidden agendas. No one ever had to speculate or guess about "What does John really mean or really want?" He meant exactly what he said. John also wrote a great deal, so the future will know his thoughts in some detail. Newton is supposed to have remarked about contributing by "standing upon the shoulders of giants." Future computer scientists will have the very broad shoulders of John McCarthy upon which to stand as they make their contributions. Among the least likely fields that John McCarthy would include within his horizon of interests, was music. But in a sixteen-year association of the music group with the AI Lab, the work that was accomplished, nurtured by the multi-disciplinary environment that John created, changed the course of music. How did this unlikely association happen? I don't know how sensitive John McCarthy was to music, but some of the people with whom he surrounded himself certainly were. David Poole was one. In 1964, David, an undergraduate, was in one of John's classes. David was also the tuba player in the Stanford Orchestra--a very good one. I was a composer studying with Leland Smith and also in the orchestra-- a timpanist. Timpanists and tuba players have lots of rests in symphonic music so we had opportunities to talk. But we did not talk about computers. In fact I did not know anything about David's academic interests except that he was a math major. We talked about music, folk arts, boats--but he never talked about computers. So, standing clueless, with a box of punched cards in my hands in the Stanford Computer Center in September 1964, it was a great surprise and my good fortune to have met my friend David Poole. Thirty years old, technically illiterate, I was following a dream based upon Max Mathews' assertion that the computer can generate any sound. My dream was to synthesize music that moved freely in an illusory reverberant space using four loudspeakers. I had gotten the sound synthesis program, the box of cards, from Max at Bell Labs a month earlier. Fascinated by the idea, David quickly figured out that between the IBM 7090 and AI's PDP-1, it was possible to construct a music synthesis system. Ed Feigenbaun, then director of the comp center, gave me some 7090 time, but we needed permission to use the PDP-1. That is when I met John McCarthy, asking for computer time. Surprised, he asked, "To do what?" "To make music," I replied and briefly explained my dream. His expression changed from surprise to doubt, then David, who was hanging back, stepped up and explained to him that we needed occasional use of the PDP-1 as a sample memory buffer and its CRT x y ladders as a DAC. Had he said no, there are lots of things that would never have happened and I would certainly not be standing here now. But having confidence that David would not make a trivial request, stroking his chin in thought, he said, "OK"--John McCarthy got it, there was no alternative, computer music was a path that could not possibly have been explored without his help--and John's mind like many great minds, was adventurous. Following the move to the DC Power Lab, I was looking for efficient ways to synthesize sounds that had dynamism, sounds that would localize in my illusory space. Steve Russell suggested coupled oscillators. Thinking about other ways a pair of oscillators could interact, I tried modulating one oscillator's frequency by another--vibrato--and then began pushing the vibrato rate and depth well into the audio band. Within minutes I had synthesized enough examples to know their importance. This was in November 1967. FM synthesis was complicated, but orderly, and as David showed me with an EE textbook in hand, it is perfectly explained by the equations. A couple of years later I played a brass canon for John that was synthesized by FM synthesis. He asked me to explain what a canon was, which I did and he then said "Oh, like Frere Jacques!" Hours later, I had synthesized Frere Jacques at a lively tempo and told John that I could also make this "brass band" march around an illusory parade ground. He seemed amused and I felt vindicated. In the 1980s YAMAHA, under Stanford license, began producing musical instruments using FM synthesis, resulting in the most successful synthesis engine in the history of electronic instruments. Andy Moorer came to SAIL from MIT in 1968. A musician, he followed our work. A couple of years later he switched from systems programmer to the PhD program. His research goal was automatic music transcription--from signal to score. He was hooked and we were lucky--he guided many of our graduate students in their work. About the same time, Loren Rush and John Grey entered graduate programs in music and psychology respectively, with their work centered at the AI Lab. With Andy, the four of us applied for and were granted NSF grants that allowed us to help, finally, pay our way at the lab. The research from those years was seminal and remains a central part of the field's references. In 1975 the four of us formed CCRMA with Patte Wood as our administrator. John McCarthy was gracious in losing his secretary. Pierre Boulez spent several weeks at SAIL with the IRCAM team in preparation for its opening in Paris two years later. They launched with a PDP-10 and our software while we took possession of the Samson Box. David Poole and others in the lab, some of you here, taught me much that I needed to know -- Raj Reddy about acoustics, Dan Swinehart about recursive procedures, Gary Goodman in programming Bessel functions, and many more. Les Earnest shepherded me through SAIL politics and made sure that there was a true record of the enormous number of compute cycles that we accumulated and why--well, at 3am we had the machine mostly to ourselves. Finally, the most important and enduring legacy of our SAIL days was one that Chris Chafe and colleagues have continued at a thriving CCRMA - -the AI Lab's environment, the multiplicity of disciplines and especially the intellectual generosity of SAIL's researchers, beginning with a simple "OK" from John McCarthy in 1964. Up through 1976, Stanford undergraduates were taught programming on a punched card system. As card oriented systems go, it was fairly advanced: students loaded their programs into self-service card readers. Often, they got their print out in five minutes or so. Regardless, in 1976 undergraduates were agitating for interactive computing. Steve Uhlir and David Roode were among the ringleaders. I was ready for some change, having been four years at the AI Lab as systems programmer. Digital Equipment introduced the DECSystem-20 at a price point that seemed attractive. I abetted the students in their wish to have access to interactive computing: I proposed to operate such a system. Wise heads in the administration would hear none of that scheme from me. But John McCarthy thought it was a good idea. And John had faith in my ability to pull it off. In spite of his mistrust of bureaucracy, John stepped up to provide political and bureaucratic cover by being the founding director of LOTS - the low overhead timesharing system. Low overhead was no virtue of the timesharing system: it reflected an unpaid Director, three full time staff and a half-time student who coordinated unpaid student volunteers. They say, "You can tell the pioneers: they're the ones with arrows in their backs.'" That saying used to puzzle me. If pioneers are facing hostile territory, why not arrows in their chests? But I understand better now. That saying is a succinct rephrasing of Machiavelli: when you try something new, there's sniping from those left behind. While LOTS was being considered, one professor thundered, "True science can only be done with punched cards." John guarded my back. He provided the political cover, academic gravitas if you prefer, while we started something new. LOTS gave students access to interactive computing, word processing, and of course, games. This happened in the period '76-'84 before the tsunami of Macintoshes and PCs hit the campus. By '79, John was sure that the roots were firmly planted; he had enough of academic politics, and he had taught me enough to survive. He turned the reins over to me. John established a community of a few hundred users at the AI Lab. John, by initiating LOTS, created a community of thousands. LOTS morphed into AIR (Academic Information Resources) with timesharing (TOPS-20, Unix, VM), networked workstations, Macintoshes, PCs, etc. Timesharing was more about communications and community than computing. Our student users formed a community connected by the computers they shared. Some went on to Sun, Cisco, NeXT, Apple, Microsoft, Google, Yahoo and many others. They brought us programs we use today. The early days of personal computers were a transient disruption of that community. The community was rebuilt on a grander scale with the Internet. We don't call it timesharing any more. The cloud is filled with computers that we all call upon to do our bidding. We share in the cloud, which is the manifestation du jour of John's vision of people interacting with computers and with each other. I was adding things up and it turns out that I worked for John longer than I ever worked for anyone else; and that was almost nine years I believe. And I am really indebted for the opportunities it provided. I got to do a number of things that turned out to be first in the world. And I got a lot of adventures along the way. In the process, especially of setting up the PDP-1 time sharing system and the PDP-6 time sharing system; I learned a great deal about system reliability. Systems did not start out very reliable and we manaaged, by considerable effort, to make them more reliable and to get them to work adequately. Along the way a large number of people informed me, very clearly, when things were not adequate. The first thing I did for John was to become a compiler. John, wearing his engineering hat, had figured out short sequences of instructions to implement pieces of LISP, which he was beginning to think about in 1958. So I hand started hand compiling pieces of LISP. Then a couple of weeks or months into the semester, John figured out the the universal S-Expression. And I looked at it, and said "Oh. I know how to do that", and started working on it. John later on felt perhaps I had rushed things. Anyway we got an interpreter that worked, then Jim Slagle explained how to use it and then I realized it didn't work; and so we fixed it up and I wrote the world's second LISP interpreter which worked much better. I am extremely grateful for those opportunities, and I am appreciative of John's management style. One of his talents was to disappear: You would catch him in the hall and start a conversation; some one else would join in; and then all of a sudden John was gone. Thank you, John. We will miss you. So it is seems that a very large number of people here remember a younger John McCarthy, than I remember. I came to Stanford at the beginning of John's (I don't know if it was his) 2nd career or his 17th career, but in about 1990, until most of the rest of his life John started again in some way, this was after the A.I. winter, Vladimir had just recently gone, and John started again with a new crop of PhD students, I don't know, perhaps John always had PhD students; but there had been a gap, and then there was first Guha, who worked in very much John's style and worked in logic and did contexts. Then there was also yet another student, Sasha, and I see Al, and Arthie who did elaboration tolerance which was another major idea of John's which was an attempt to try to right people to fix the field to get people back on track. This one thing I remember, with John, I worked with John for ten years or so, was a lot of the time, he knew people were getting off track. If he could only get you all back on track, everything would be OK. I hear all these stories; and I hear people talk. I have heard about almost all of you from John. I have heard stories of what you have done; and I have heard all the little things John did to try and to get to you back to doing it and I was thinking of Barbara Huberman; ... Liskov. Who John always called, Barbara Huberman, I presume you were called that at some stage. But I can remember, hearing the story of you describing it, It wasn't like that to John at all, John remembers, you know, he would always say: he had this plan, he gave you this stuff, and he said it was perfect PhD material and he expected, I imagine right to the very end, that you would give up on whatever mistake you were pursuing and come back. Because, what he told me, your PhD thesis was on, which again I am not quite sure, now that I think of it, may not be completely accurate, it was really John's core idea which is: making things better. In Chess End Games, when you have gotten to a certain positon, there are small things you can do which will get you into a better position. And of course, at the end of the game, if you slowly improve things, then you will win. If you think of circumscription, which is another of John's ideas You got this big idea, but if you slowly get rid of the abnormalities, get rid of the things that aren't quite right, well that will get you to a better place where you actually find your answers, because John was a huge believer that gradual improvement would get you to where you wanted to go. In some ways, em, John was a huge optimist, actually someone said John was a radical optimist John really was really a radical optimist. yah and I think an awful lot of you don't realize the tiny little pushes he was giving you to get you back on the track of logical A.I. which all of you were going to do, if he could just nudge you in the right direction. And John was, had extremely strong political beliefs I don't think it would be fair to call them conservative, I think it was, they were optimistic, and he really believed in long term projects. and I know that one of the project that I remember, I worked a surprisingly long time on it, now that I think of it, was that he wanted to move Mars into Earth orbit, because we only had one planet, but if we had Mars in Earth orbit that would be two, and that would be a big step forward, it turns out that it is perfectly feasible using current technology and you basically knock an astroid out of the astroid belt and you sling shot it around, around Earth and Venus, Mars and Venus, until they transfer momemtum one to the other it turns out there is an issue with angular momentum, of course, if you drop Mercury into the Sun that will solve that problem. And John really like the idea of changing the number of planets from nine to eight, OK because it was a classic example of one of these things which was true but wouldn't change; John never saw the idea of demoting Pluto, dropping Mercury into the Sun seemed a lot more sensible to him. The other thing is that John was emensively creative, John write a huge amount which he never published, like alpha beta prunning, a lot of his best ideas are written down, but if course they would just sit there, in a three letter directory name, because that is the way he named everything. He thought Tolkein was terribly negative in the Lord of the Rings. He really believed that Orcs were salvagable, because John was an optimist. He believed you really could get them back. He felt the elves were very much like environmentalists who didn't like change. He hated to see the waste of technology. The RING was technology to him and so he has this sequel where they divert the river into Mount Doom they retrieve the ring, and of course the properties of the ring are separable, because it is a process similar to chromography where you put on a gold bar the various properties like invisibility and evil, will migtrate at various different speeds. John was nothing if NOT creative; and there is fragments of this lying around if you can actually dig it up and read it but I think that shows that in everything John was an eternal optimist and as such I am sure that right now he is expecting you, having heard this to say "YES, I really should go back and do that logical A I" ! Transcript of the Ted Selker talk might get done eventually. Transcript of this Whit Diffie talk might get done eventually. ▶12:39 John McCarthy (from 2009) ▶ Reminiscence: Why SAIL and not something else, the history of A.I. Why SAIL and not something else, the history of A.I. My reminiscence is going to be a very specific one, Why SAIL and not something else. I was interested in making a point, and my attempt to make a small and definite point, grew into creating a substantial organization, namely SAIL, and the point had to do with what is a concept. There was a book by Bruner, Goodnow & Austin, called Concept Recognition or something like that ( note: ISBN 0887386563, 9780887386565; Title: A Study of Thinking; Authors: Jerome Seymour Bruner, Jacqueline J. Goodnow, George A. Austin; copyright: 1956. ) but the important thing about the book was its notion of concept which was a boolean combination of elementary concepts. That is a concept could be an A and B and a not C. The examples that were given tended to be letters of the alphabet, which were described as a vertical line, horizontal line and a curve; where the elementary concepts were a vertical line, horizontal line and curve; So each letter had these lines, and so forth. Well I said, "That is not good enough", because with that vocabulary, while you could do recognition, with that limited vocabulary it would not permit you to draw a letter that you did not know about. So I introduced the slogan:"Description! and NOT merely Descrimination!" And that a concept should be descriptive, something more like a vertical line, connected at its middle, to a horizontal line segment going to the right and a combination of that kind and if you allow that vocabulary then you can actually by telling some one that over the telephone, he can draw the object of that given kind. And furthermore you can recognize objects of new kinds, even for example, recognize objects seen by television cameras. And in trying to do that, well to demonstrate that, you need television cameras and so forth and this suggested connecting television cameras to computers and having suitable programs to do something like that. This suggested asking DARPA for money to build a laboratory to do that. DARPA like that idea, and gave us the money. There were other things that were involved but that was part of the reason why we asked for the money to start the Stanford A. I. Lab and part of the reason why DARPA gave us the money. Now if somebody wanted to write a proper history of the matter. Then they would look at the ancient proposal and that would be hard to find. Stanford doesn't have any policy of keeping proposals that were funded. And they have an explicit policy, at some point, of throwing away and destroying proposals that were not funded. Les Earnest: Well, we still got them in the archive. John McCarthy:Maybe, if the building that holds the archive moves ? maybe you have some of them. John McCarthy continues: But anybody who wants to write a history of any branch of science, would like a history of the proposals as to what the investigators hoped to accomplish and what the government hoped to accomplish in funding them. I remember reading a book "The Question of A. I." ( note: ISBN 0709939574, 9780709939573; Title: The Question of Artificial Intelligence: Philosophical and Sociological Perspectives; Editor:	Brian P. Bloomfield; Copyright: 1987. See John's critical review of this book, PDF ) which treated these questions by inventing what the investigators hoped to accomplish and what the government hoped to accomplish and it was pure invention namely the people who wrote the various chapters of this book were leftists and they invent from a leftist point of view what these people must have had in mind OK someday some proper histories of what the various proposals in these areas will be made in certain kinds of sciences like physics histories are already much better than in areas like computer science or Artificial Intelligence or best of all in an area like Astronomy that has enourmous continuity, where there is a certain continuity between what people were trying to do a hundred years ago and what they are trying to do today but there certainly isn't anything like that continuity in Artificial Intelligence. Question from the floor, voice sounds like Ted Selker: Why are us computer people so bad at keeping our own historical records ? when our job is data and records to collect knowledge. John McCarthy answers: Well, it is not our function to write the history of A. I. anymore than it is the physicist's function to write the history of Physics. There are people who specialize in writing the history of Physics, and there are people who specialize in writing the history of A. I. it just that they're not very good. This was an enormous amount of work on Bruce's part and for example the MIT A. I. Lab has not managed to do anything like that. Now PUB has been superceded by TeX, and TeX produces much more elegant output, but in one respect TeX is a substantial backwards step from PUB and that is Don Knuth said he didn't want a programming language, and what he ended up, he wanted something simple that secretaries would be able to do and he invented something very simple but it ended up being elaborated into an extremely bad programming language namely TeX macros. And while Knuth is almost always extremely elegant, he wasn't in this case. 10:56 voice, Tesler: PUB wasn't very elegant either. John continues: The structure that (audio "TeX", but I assume John meant) PUB had for combining things, relative to what TeX has ended up with, it seems to me was very elegant. Larry Tesler: It uses the ASCII character set, that really helped. voice: Does Don get a rebuttal? Vic Scheinman to John: TeX is still in use by thousands and thousands of people, what do you have to say to that? John McCarthy: Well. Certainly TeX has produced more beautiful output than PUB does. And if you had combined some of the ideas of both of them it would have been better than either. Don Knuth: No this isn't a rebuttal you can not argue aethetics. But I think the best answer is a conversation I had with Leland Smith a few minutes ago, I just had occassion to typeset some music and it turns out that I used METAPOST to type set the music; and he said: Ya, if he had a theorem in a paper about mathematics he would use SCORE to typeset the mathematics. Don Knuth sits down, Ed Fredkin to the left, and Ralph Gorin in the white shirt behind Fredkin. Duplicate entries omitted, so numbering from original guest book is not sequential.